Tax collections for the state of Indiana are running ahead of projections. 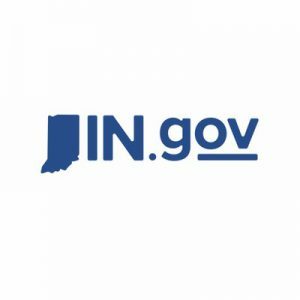 The Indiana State Budget Agency said Nov. 9 that year-to-date general fund tax collections totaled $4,998.2 million through October, which is $92.1 million or 1.9 percent above the December 2017 revised revenue forecast and $243.5 million or 5.1 percent more than collections through the same period in the prior fiscal year. The state said year-to-date sales tax collections through September totaled $2,674 million, which is $36.9 million or 1.4 percent above the December 2017 revised revenue forecast and $117.7 million or 4.6 percent above collections through the same period in the prior fiscal year. General fund revenues for October totaled $1,158.5 million, which is $34.7 million or 2.9 percent below the December 2017 revised revenue forecast and $6.2 million or 0.5 percent below revenue in October 2017. In September, the state saw revenue projections increase 9.2 percent above December projections. The state said while most revenue sources came in above estimates and from the prior year, individual income tax collections for October came in lower. The state said significant monthly fluctuations in individual income tax collections are expected and revenues are better interpreted within the context of the longer-term trend for fiscal year 2019. The state said sales tax collections totaled $675.4 million for October, which is $15.2 million or 2.3 percent above the monthly estimate and $39.5 million or 6.2 percent above revenue in October 2017. Individual income tax collections totaled $401.9 million for October, which is $65.7 million or 14 percent below the monthly estimate and $70.7 million or 15 percent below revenue in October 2017. Corporate tax collections totaled $12 million for October, which is $5.9 million or 97.7 percent above the monthly estimate and $22.5 million or 214.6 percent above revenue in October 2017. Riverboat wagering collections totaled $21.2 million for October, which is $5.3 million or 33.4 percent above the monthly estimate and $2.5 million or 13.4 percent above revenue in October 2017. Year-to-date individual income tax collections through October totaled $1,829.6 million, which is $1.6 million or 0.1 percent below the December 2017 revised revenue forecast and $14.5 million or 0.8 percent above collections through the same period in the prior fiscal year. Corporate tax collects year-to-date through October totaled $193.8 million, which is $13.2 million or 7.3 percent above the December 2017 revised revenue forecast and $81 million or 71.9 percent above collections through the same period in the prior fiscal year.